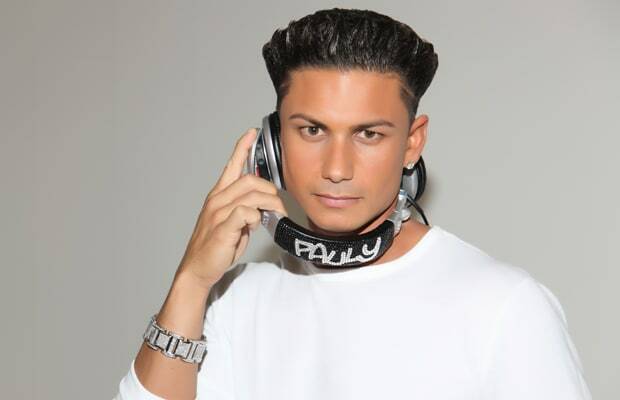 Jersey Shore star DJ Pauly D, also know as Paul DelVecchio, released a statement Monday saying that he will join Britney Spears on her Femme Fatale tour. Pauly joins Nicki Minaj as an opener on the tour. This won&apos;t be the first time Pauly has warmed up the stage for Britney, having already opened at her Las Vegas show in March. "Britney is one of my favorite performers and certainly one of this generation&apos;s most influential artists," said Paul. "It&apos;s an amazing platform to connect with my fans around the country." Aug. 17: Van Andel Arena in Grand Rapids, Mich.
Aug. 24: RBC Center in Raleigh, N.C.
Aug. 25: Time Warner Cable Center in Charlotte, S.C.